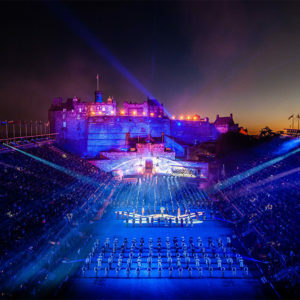 In recent years DPA microphones have a played a key part in delivering great sound at the Edinburgh Military Tattoo and 2018’s performances were no exception. Sound designer Sebastian Frost, specified a vast selection of d:vote™ 4099 Instrument Microphones, d:screet™ 4061 Miniature Microphones and d:fine™ 4066 Headset Microphones incorporating the new CORE by DPA amplifier technology. In total, more than 110 DPA microphones were deployed across the show. Sound equipment for the show was supplied by Wigwam Acoustics, which has been supporting this event for many years.For the Tattoo, Frost used d:vote CORE 4099 Instrument Microphones for all the stringed instruments including a 40-piece fiddle group and 18 piece string orchestra. With the Tattoo over for another year, Sebastian Frost is getting ready for a new project in Macau and preparing to take ‘The Last Ship’ to Toronto in the New Year. As ever, DPA will play a key role in both of these productions.